Benjamim Nande has revolutionised kizomba by developing a comprehensive step by step method. Travelling around the world he introduced this sensual dance to most of the countries where it has now grown so popular. 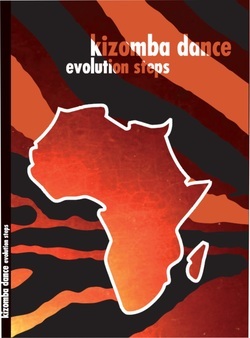 This DVD will give you access to Kizomba Dance's method evolution with a full range of new steps, all of them explained in detail. Divided in 16 chapters, you will find all you need to improve your skills, learn new combinations and create your own! Kizomba basics – A simple method through which all can learn to dance this hot and sensual african rhythm. All the steps are explained in detail – feet movement and leading. After finishing all this DVD’s classes, you’ll be a “kizombeiro”! Includes a kizombas CD to listen to and practice. Kizomba basics – Um método simples através do qual todos podem aprender a dançar este ritmo africano quente e sensual. Todos os passos são explicados ao pormenor – movimento dos pés e condução. Depois de completares as aulas deste DVD, serás um “kizombeiro”! Inclui um CD de kizombas para ouvir e praticar.